There seem to be far too many Seahawks fans calling for Pete Carroll to rest a bunch of guys against Arizona on Sunday. Fortunately, Carroll is much smarter than that. The Seahawks absolutely should prefer to go to Dallas rather than chilly Chicago in the wild-card round. To do that, they have to beat Arizona, or Minnesota has to lose to the Bears, who are angling for the No. 2 seed. Dallas would easily be the best postseason matchup for the Seahawks, who then would head to New Orleans if the No. 3 seed (Chicago or L.A.) also won in the wild-card round. Of course, if the No. 6 seed (Minnesota or Philadelphia) were to win, that would send Seattle to the No. 2 seed. And that’s why the Hawks should be rooting Sunday for the Rams to beat the 49ers (or the Bears to lose). The Seahawks just don’t want to go to Chicago in mid-January, when temperatures are as frigidly unfriendly as you can get. They surely would prefer to play the division rivals they came close to beating twice earlier this season and probably are well suited to beat in a prospective third matchup in sunny California. Two-thirds of the way through the season, the Seahawks are right where they need to be: in control of their postseason destiny (which apparently is a surprise to almost everyone but us). If they win out to finish 11-5, they will make it in. But what happens if they drop a game and land at 10-6? That’s where they would need a couple of things to fall their way — but the odds still would stack highly in their favor. The Seahawks’ watershed win in New England largely has been interpreted as a sign the Hawks are ready to make their usual run through the second half of the season and deep into the playoffs. But, because the offense has cost the team 2.5 games, the Seahawks find themselves in chase mode in the NFC — not yet in full control of their destiny, not yet the No. 1 seed. Dallas, led by rookie QB Dak Prescott, holds that position right now — 1.5 games up on the Hawks thanks to an eight-game winning streak. But there is plenty of time to catch the Cowboys — and the remaining slates for each team make it seem very possible, if not likely. 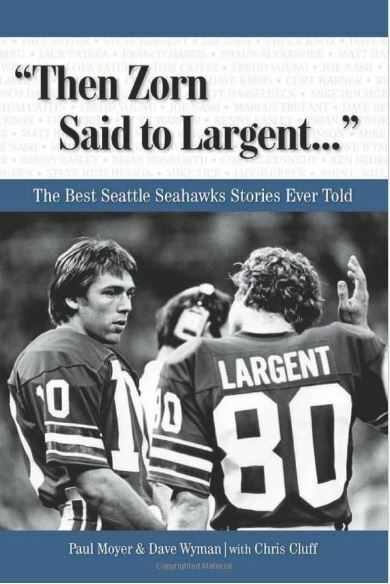 This weekend marked the 42nd anniversary of Seattle being awarded an NFL franchise — a monumental event that until recent years had proven much more fruitful off the field than on. 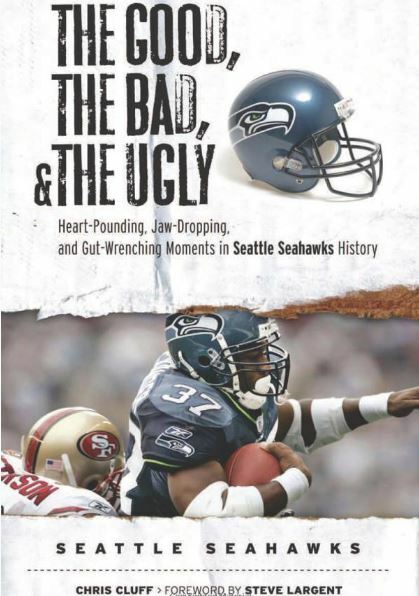 The Seahawks had a horrendous first two decades on the gridiron, making the playoffs just four times. But, in the 19 years since Paul Allen purchased the team, they have been in the postseason 11 times — including 10 times in the last 13 years. They have reached the Super Bowl three times in the past 11 seasons — a feat matched only by Pittsburgh and New England during that time (coincidentally, the Hawks lost to both in the title game). Allen’s fortunes off the field have been even better. The team is worth almost 10 times what it was when he bought it from Californicator Ken Behring — $1.87 billion vs. $194 million. Blair Walsh’s missed 27-yard field goal in the final 30 seconds allowed Seattle to escape with a 10-9 victory. Seattle rallied from a 19-7 deficit in the final four minutes, getting two touchdowns, an onside kick recovery and a two-point conversion to force overtime, where they quickly won it, 28-22. Plenty of Seahawks fans seemed to be annoyed that the NFL put the Seahawks down for a 10 a.m. playoff game (noon Minnesota time) next Sunday, and some even went so far as to scream bloody conspiracy. 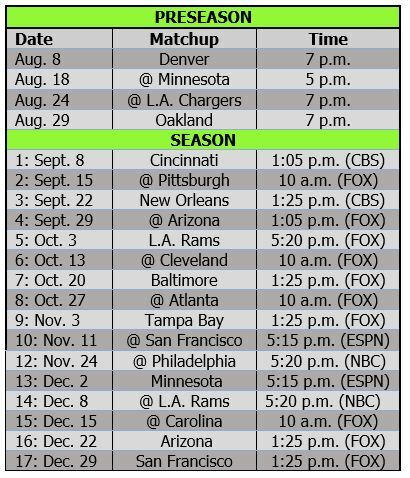 In fact, it wouldn’t be until the NFC title game that the Seahawks would play an afternoon game. On Jan. 24, the NFC game will kick off at 3:40 p.m. — after the AFC Super Bowl team is determined. 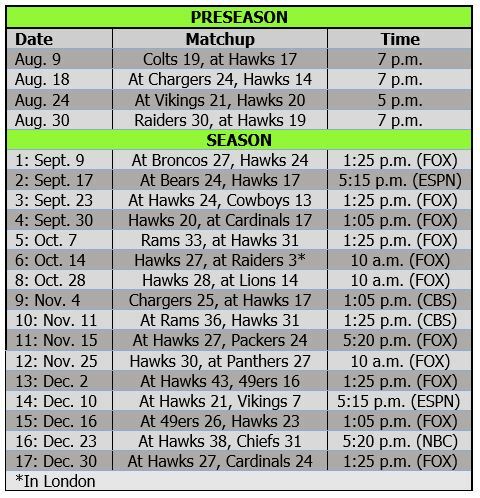 Fans have gotten used to the Seahawks playing 1 p.m. or later games because the team has been the NFC’s No. 1 seed the past two years — and thus has had home-field advantage. In fact, the last time the Hawks played a 10 a.m. playoff game was in January 2013, when they went to Atlanta and lost 30-28 in the final seconds. The Seahawks have gone 7-5 in 10 a.m. games the past three years. They were 2-2 this year, losing at St. Louis in the opener (in overtime) and blowing a 17-point lead in the fourth quarter in Cincinnati. However, all of those worry warts need to recall also that the Hawks blew out Minnesota 38-7 in a 10 a.m. game in Week 13 (and also Baltimore the next week). Oh, and Seattle also beat Carolina in 10 a.m. kickoffs during both Super Bowl seasons. Why would anyone be concerned about a 10 a.m. game at this point? Funny timing, considering he isn’t “here” in Seattle and won’t get fined for it. Pete Carroll said Lynch might make it back for the first playoff game, and the coach also deflected concerns that the team is not controlling Lynch’s rehab as the running back recovers from abdominal surgery. Lynch has been working with his personal trainer in the Bay Area, as he does every offseason, and Carroll has been relying on reports from that crew regarding Lynch’s progress.